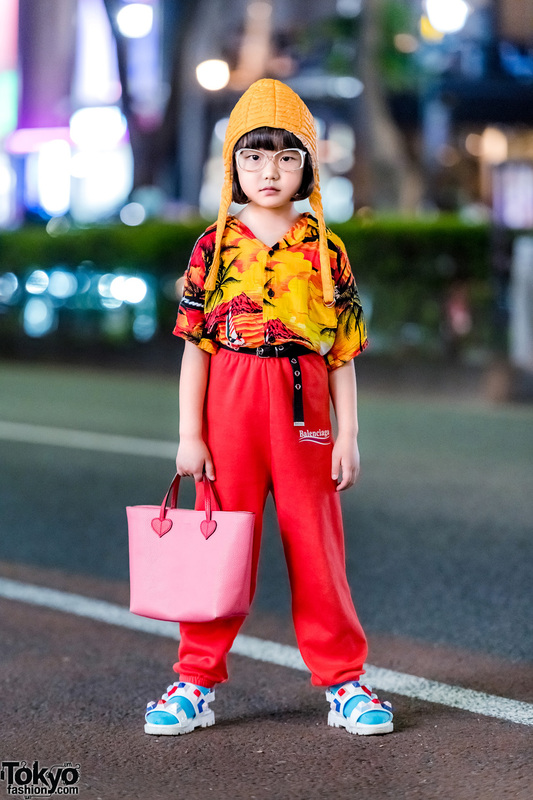 Japanese high school student wearing a shiny purple shirt with belted wide leg pants and creepers. Harajuku girl in twin braids wearing a leopard print jacket and bright green pants. 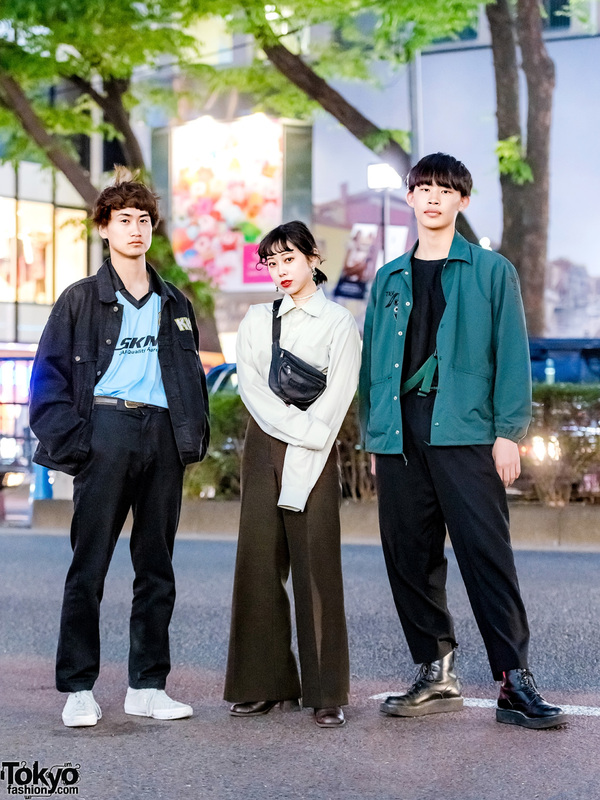 Harajuku trio sporting minimalist streetwear styles while out and about one evening. 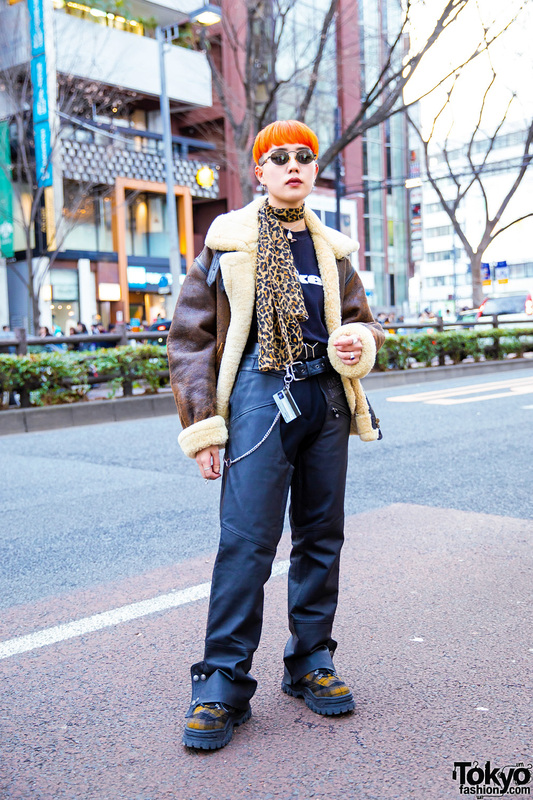 Harajuku fashion icon wearing vintage and designer streetwear on the street in Tokyo. 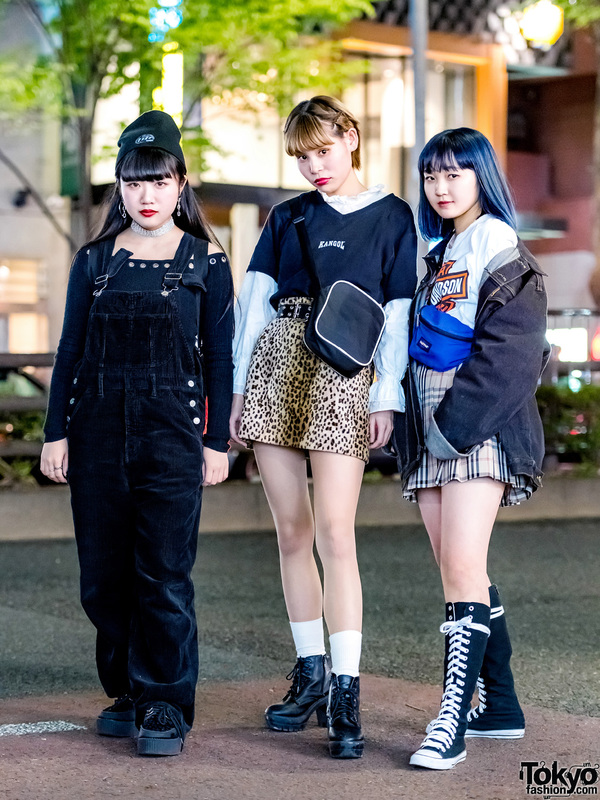 Casual-cool vintage streetwear style in Harajuku. Japanese student in green turtleneck, tweed pants, and black leather loafers. Harajuku girl sporting shaggy hair and a dark street style while out on the street. Harajuku trio sporting a polka-dot dress, aqua ensemble, and all black look while out on the street.